When we talk about the few famous figures that have made it through the social media you can call India Westbrooks as one of them. India is a Black-American model and a reality television star. She is best known for the famous reality TV show called “The Westbrooks”. India’s active participation in the social media has made her a popular figure among her sisters. Let’s quickly take a look at India’s biography and her personal life including her tattoos. The charming princess India Love Westbrooks was born on February 3, 1996, in California, United States. She was raised along with her four sisters in California and she was the youngest among them. During her childhood, India attended Santiago High School in California. She was a pretty and brilliant student during her high school. At that time, her sisters have started gaining attention and they have pulled many followers on social media platforms including Twitter and Instagram. Trolling the line of her elder sisters, India Westbrooks, however, opened her first Tumblr account in 2011. On her Tumblr account, she shares pictures of herself in different forms and despite all her efforts; she faced series of problems with hackers on her account. The damsel wasn’t able to gain much attention as she wanted but she didn’t give up as well. Her persistence and consistency have finally paid off and has made her even more popular than her sisters. Furthermore, asides social media, the Westbrooks sisters rising fame on social media attracted the BET Network who offered the sisters a slot to start their own reality TV series. The five sisters finally accepted the offer and the show premiered in 2015 on BET Network. 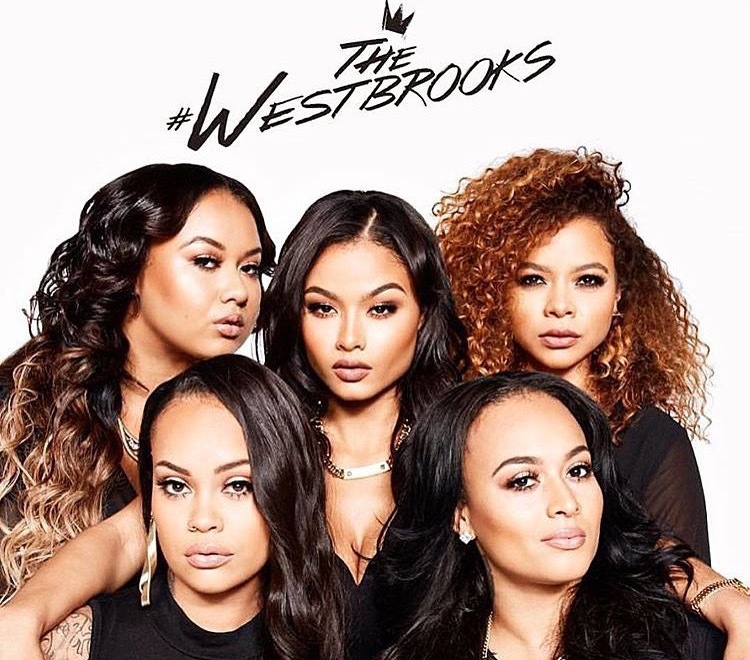 The strong audience built by these sisters all over the social media has significantly grown following the inception of their show “The Westbrooks” and has contributed to their fame. For the records, India is the star of the show and the youngest as well as the most favorite. India Westbrooks fondly called India Love is a very beautiful and attractive which has caught the attention of so many big guys including Soulja Boy and Ron Robinson etc. It all started in 2011, when she started her social media career, then she got hooked up with Ron Robinson whom she dated for about two years and they broke up in 2013. After her break up with Robinson, the star met Soulja Boy and they both started dating but their relationship was able to last for just a few months and they got separated. Here’s the shocker, while Indian love was dating Soulja Boy she was also having an affair with Justin Combs as well as Brandon Wimberly and she finally broke up with them in 2014. After her break up, she later had relationships with Louletay in 2015 and Cliff Dixon, Kevin Durant’s brother in 2016. More so, rumors began to spread about India Love having an affair with rapper Drake after the rapper reportedly broke up with her elder sister Crystal in 2016. Though the rumors were not confirmed and she has not disclosed who her new boyfriend is and we hope to find out soon. India Westbrooks is very popular personality on Instagram, Vine and Twitter and she currently has more than 3.4 million followers on her Instagram account. Does India Westbrooks have Tattoos? The American model is so beautiful without doubt, she has gorgeous and exotic looks. India Love stands at 5 feet 3 inches, slightly below the average height for a typical American woman. She has amassed wealth at a very young age thanks to her online presence and their reality TV show “The Westbrooks”. India Love has not yet been nominated for any awards yet and she lives a luxurious lifestyle with a whooping net worth of $1.3 million.